All scholarships are awarded at the discretion of the scholarship panel (consisting of camp faculty and staff). Already registered camp participants may also apply. Scholarships are awarded by the panel on the basis of applicant talent, potential, and need. 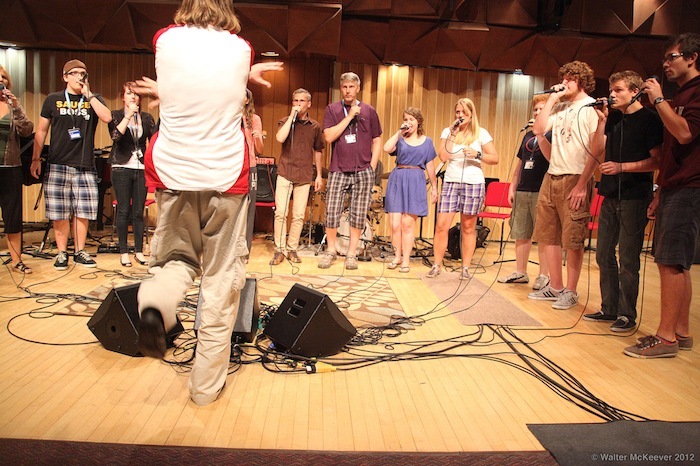 Former campers from past New York Voices summer camps are joining forces to create a scholarship to pay it forward so that others who share a passion for vocal jazz might have the opportunity to share in this very rewarding camp experience.